When you are enjoying a delicious meal outdoors this spring and summer, add some color to the table with Sabre Natura Flatware. These colorful flatware pieces bring a touch of fun to your outdoor table tops that are excellent for a casual lunch on the pool deck or a pleasant breakfast on the patio. The Natura flatware by Sabre has a handle that features a more squared off shape and translucent softness that is available in 21 vibrant colors! 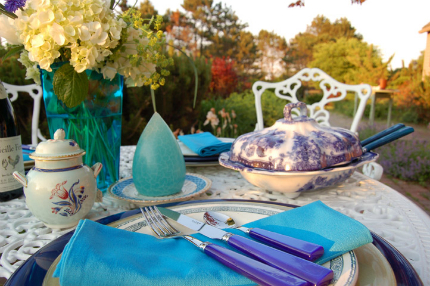 Make your outdoor table tops fun and exciting by mixing and matching the colors and accumulating all available flatware and serving pieces in your favorite colors. Just like the change of seasons, you can change up your table setting to create the look you desire. Impress your guests with a beautiful vibrant table top fit for a bright, warm and sunny day. Sabre Natura Flatware is available at Didriks. Time to get the Grill Ready!